At Tennessee Orthopaedic Alliance, our number one priority is our patients. We all take great pride in hearing that our patients are happy with the care we provide. Discover what our patients have to say regarding their office visit, surgical experience or recovery process. I want to thank you for everything. It's nice when physicians like you show an interest and go the extra mile. You did just that, and our entire family appreciates you. At 82 years old, Anne had a dream to go on an African safari with her daughter. Unfortunately, the only obstacle between Anne and her dream vacation was a big one—she needed a total knee replacement in both knees. Determined to realize her goal, Anne was scheduled for a bilateral total knee arthroplasty on Oct. 3 with Dr. Philip Karpos. 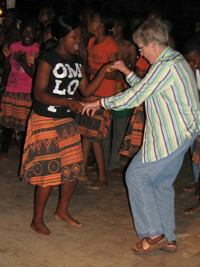 Less than four months later, she was on her way with her daughter for a four-week tour of Kenya and South Africa. On the trip, Anne was able to climb in and out of many safari jeeps with ease, dance with the locals and even climb on the back of an elephant. It's hard to believe when you look at photos from what Anne calls "the trip of a lifetime," that just four months earlier she had a difficult time getting around due to her weak and painful knees. "If it weren't for TOA's expert treatment, I would have missed out on a very special experience. I owe a very big thanks to Dr. Karpos and his team for making this trip possible." 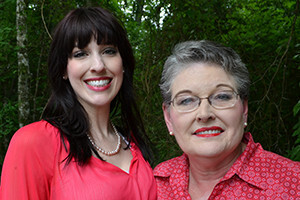 If you spend five minutes with Theresa McKee you might describe her as a “firecracker.” This Murfreesboro native loves life, her family, and is constantly running around town volunteering her time with the Exchange Club and doing good for others. Most days you can find her in the backyard, chasing her four grandchildren, bird watching from her patio, working in her vegetable garden, or telling stories. Her vivacious spirit is contagious, and her warm smile stays ever-present on her face. At first glance, you would not know that this vibrant and confident grandmother once suffered from paralyzing back pain. The excruciating pain eventually forced Theresa to retire after 26 years with the same company, and distanced her from her adored grandchildren. “I couldn’t do anything with my grandkids. I didn’t even want to get out of the house.” She visited a pain center where she was administered epidurals every two weeks, but it wasn’t a cure. With her life so limited and pain so persistent, Theresa thought she wanted to die. 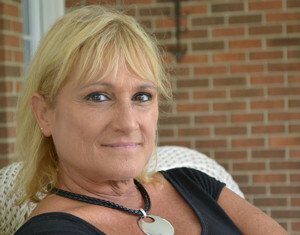 Desperate for effective relief, she took a friend’s advice and turned to Tennessee Orthopedic Alliance. Former pharmaceutical sales executive and father of two, Phil Landers is looking forward to the next chapter of his life. As his youngest of two sons prepares to leave the nest to join his brother at the University of Tennessee at Chattanooga, Phil yearns for adventures with his wife of more than twenty-five years. But before his success with Tennessee Orthopedic Alliance, experiencing these new endeavors would have been impossible. As someone who had experienced orthopedic surgery before, Phil knew what severe pain felt like, but this time was different. “When nerve pain is involved, it takes pain to its highest level. I could not comfortably sit, stand, or lay down to get any level of relief. The pain was simply unbearable.” Searching for comfort, he underwent two nerve root block procedures with a highly regarded pain specialist, but neither treatment could alleviate his discomfort. Shannon Rucker Prince, a physical therapist tech from Murfreesboro, loves being newly married. You can see it in her pretty smile. This is when Shannon turned to Tennessee Orthopaedic Alliance’s Dr. Juris Shibayama in Murfreesboro for help. 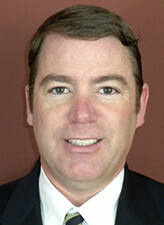 “We looked at many options to help reduce my pain, and decided that spinal fusion surgery would be the best solution. Within a week of the surgery, I had significantly reduced the amount of pain medicine usually needed and began to walk without any pain. This is when Sue decided to try a new doctor. “I chose to see Dr. Shibayama after seeing the great success Shannon was having from her spinal fusion. Sue says she realizes how unusual it is for both a mother and daughter to have the same surgery for the same back problem, especially since they were damaged differently. But today, she is grateful for the coincidence and the result. Success came for Sue. “After surgery, it was like the difference between night and day. I remember Dr. Shibayama coming in my room the day after my surgery and asking me if there was anything I needed.